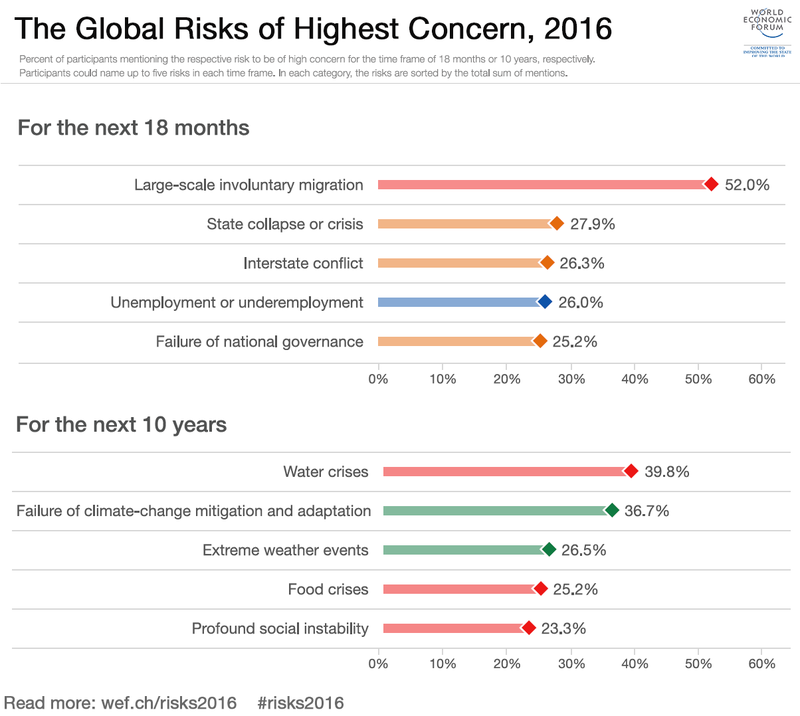 Studies and Research on Middle East and Africa: World Economic Forum: What are the top global risks for 2016? 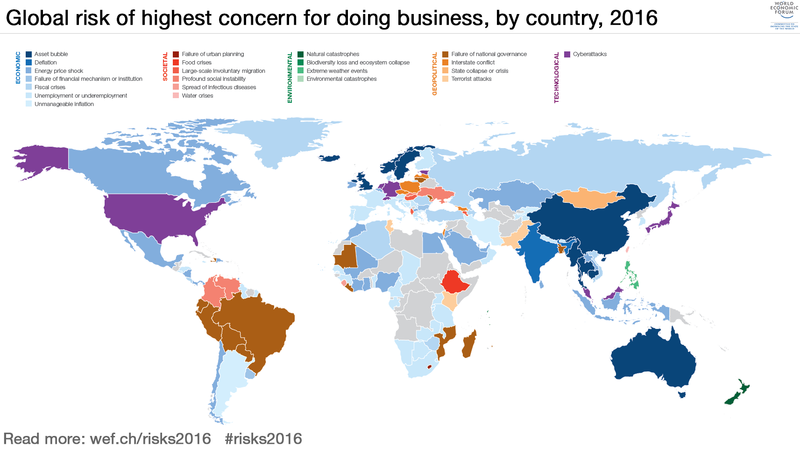 World Economic Forum: What are the top global risks for 2016? 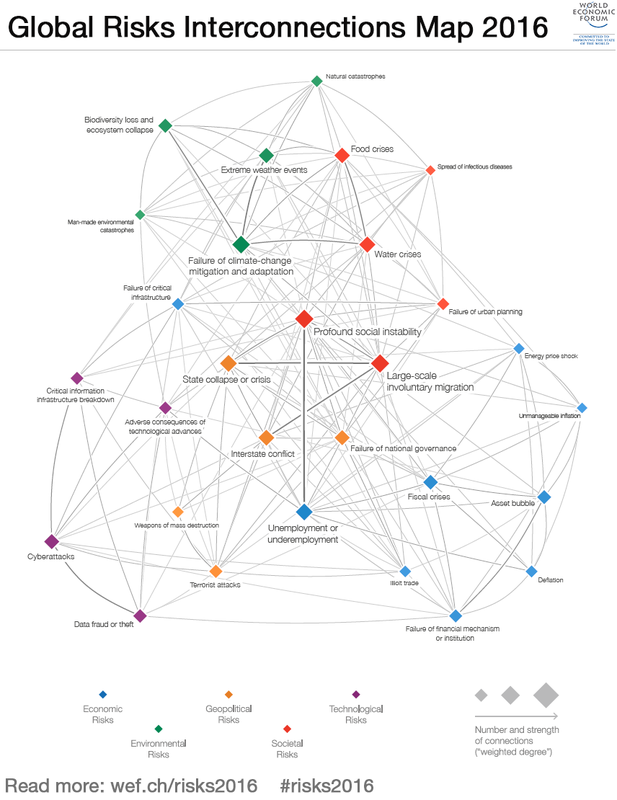 In this year’s annual survey, almost 750 experts assessed 29 separate global risks for both impact and likelihood over a 10-year time horizon. The risk with the greatest potential impact in 2016 was found to be a failure of climate change mitigation and adaptation. This is the first time since the report was published in 2006 that an environmental risk has topped the ranking. This year, it was considered to have greater potential damage than weapons of mass destruction (2nd), water crises (3rd), large-scale involuntary migration (4th) and severe energy price shock(5th). 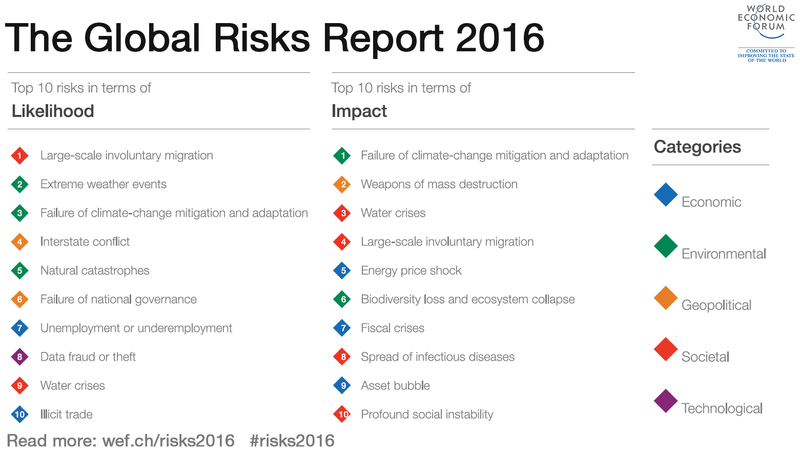 The number one risk in 2016 in terms of likelihood, meanwhile, is large-scale involuntary migration, followed by extreme weather events(2nd), failure of climate change mitigation and adaptation (3rd),interstate conflict with regional consequences (4th) and major natural catastrophes (5th).